A FOUR-week-old puppy rescued by a firefighter during bushfires near Baffle Creek yesterday has been returned home to her mum, Zoe. 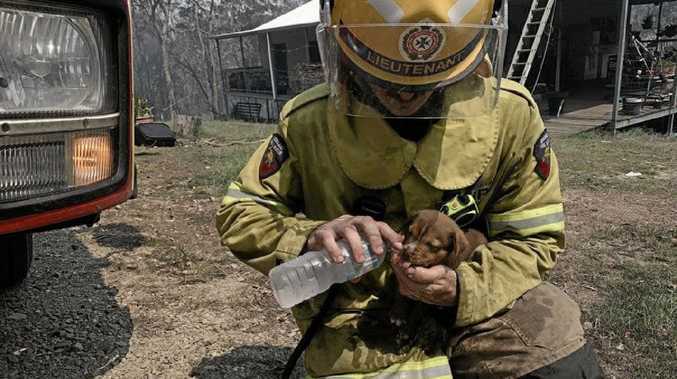 The Queensland Fire and Rescue Service posted a photo - of fire lieutenant Blake Hyland giving the female puppy a drink from a water bottle - to their social media pages Wednesday, prompting thousands of comments, hundreds of shares and comparisons to the photo of a firefighter giving a Koala a drink during the 2009 Black Saturday fires in Victoria. Jason Holm, 48, of Baffle Creek, said his family received a call from the Agnes Water fire station yesterday saying they had found the as-yet unnamed puppy on their evacuated Muller Road property. 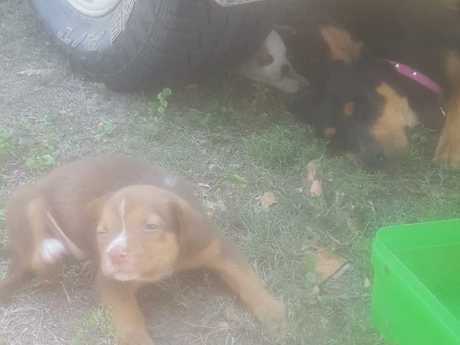 He said his wife Charmain and son, Daniel, had grabbed their four dogs and two of the three female puppies as they evacuated a few days earlier, but could not find one puppy. "Yesterday, the fire brigade left me a message saying they'd found a puppy at our place and it was being looked after," he said. Mrs Holm, 49, said she was surprised and relieved when they received a call saying the cattle mix puppy was safe. "When we were leaving, it had hidden itself very well, but it was just one of those situations where he had to leave," she said. 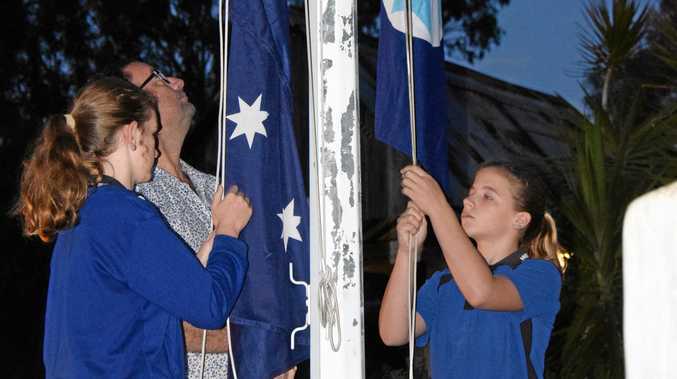 She picked the puppy up from the Agnes Water Fire Station Wednesday night. The QFES confirmed the puppy was rescued by an officer from Agnes Water Station 40.